If you can't read Le Monde just yet, there are plenty of French newspapers in English that can keep you up to date on all the latest news in France. While you may purchase all kinds of French newspapers in an effort to improve your French, if most of the paper goes unread because you can't quite read it yet, you may be better off sticking to English language papers until your French rivals that of the natives'. Whether you are looking at France from the outside, or you've moved to France and need to be kept current with all the news and events in your adopted country, French newspapers and magazines can help you to do this. However, not everyone who is interested in France and the French can read French well enough to read the biggest (most academic or serious) newspapers published in France and other French-speaking countries. While some of the biggest newspapers offer translations on their websites, few newspapers and magazines offer full translations of their newspaper stories. For this reason, French newspapers in English exist to keep English speakers, and other non-French speakers who do speak English, informed about the world and what's happening. 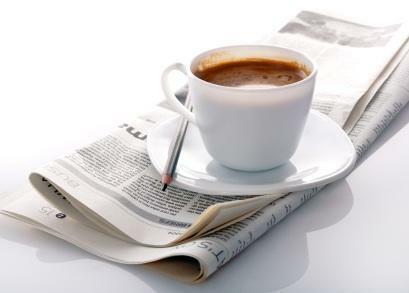 While several websites offer French news in English, you may be looking for a 'real' newspaper or magazine-one that you can take with you to work in the morning or read in the park or while your child plays at the playground. While there aren't as many print sources as online ones, print sources do still exist and are going strong. One of the most widely distributed English language newspapers in France is The Connexion. This newspaper is one of the most widely read English publications in France; it is published only once a month, so each edition is jam-packed with information and interesting stories. Whether you need to get up to date on current events, or you are looking for help finding an apartment or job, this paper may just be the resource you've been looking for. This paper can be published at a newsstand, or you can subscribe to it at a reduced price. Alternatively, stay on top of things by reading the articles you're interested in right on their website for no fee. While France Today is technically a magazine and not a newspaper, the amount and relevance of the information included in this publication is significant. For anyone looking to understand any one of the finer points of French culture, this is the publication for you, and can be accessed in print or online. If you're in the southern part of France, you may be interested in this regional newspaper: The Riviera Times. Featuring news and special topics for the entire Riviera region, this English-language newspaper is popular in the region. For those outside the region, the newspaper can also be accessed and read online. Regional newspapers can be a great option for people with a particular region in mind concerning France. Whether you live in Brittany or are just interested in the region, this (print and online) newspaper will allow you to stay in touch with the region. The Central Brittany Journal claims that its main purpose is to welcome newcomers to the region; of course, some readers of the paper have been living in Brittany and/or in France, for decades. Even if you don't speak French fluently yet, there are plenty of publications where you can read about the latest sports results and see what the weather has in store for you. What's more, these printed papers are just a start…these and many more resources are available online.